The Perth Mint (perthmint.com) announced it is exhibiting some of the most incredible and valuable gold quartz rocks ever discovered in Australia. 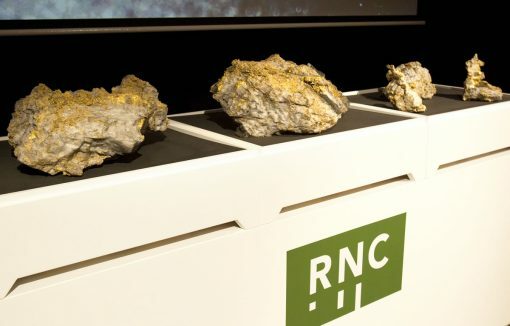 The massive gold specimens, discovered underground at RNC Minerals’ (‘RNC’) Beta Hunt mine in Kambalda, in Western Australia’s Goldfields region, will be on display at the Mint for approximately three weeks from Oct. 6. Admission is free. "These gold specimens are incredible to view up close and encapsulate all the magic of the gold mining industry, which has been a backbone of the Western Australian economy since the early prospectors kicked off the first of the State’s gold rushes in the late 19th century," Perth Mint Chief Executive Officer Richard Hayes said. This will be the first opportunity for the public to view up close these gold-bearing rocks, which were discovered and mined approximately 500 meters below the surface from the Father’s Day Vein at Beta Hunt just five weeks ago. "As Australia’s largest precious metal refiner, The Perth Mint takes very seriously its commitment to celebrate the successes of our gold mining industry," Hayes added. The Beta Hunt gold rocks are exhibited in the foyer of The Perth Mint shop.